Our range of products include vedic vastu world's only interactive vastu software, parashara's light 9.0 astrology software professional edition, parashara's light astrology software commercial edition and parashara's light vedic astrology software. Vedic Vastu, Professional Edition(World's only Interactive Vastu Software) Jyotish Sagar TM proudly presents Vedic Vastu, the long awaited tool for creating Vastu compatible layouts. 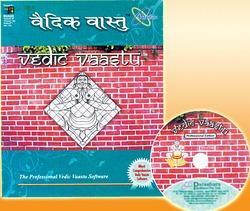 Based on classical Vaastu scriptures and backed by extensive research, this software provides the complete interactive solution for Macro and Micro level Vastu applications. It encompasses the richness of the classics and provides access to powerful tools for Vastu application in customized layouts. As of today, this is the World’s most comprehensive, innovative, interactive and user-friendly Vastu software. We are confident that this would meet all your requirements and keep you updated with the latest developments in the Vastu arena. Jyotish Sagar is the leading supplier of astrology software of India. We provide India's No. 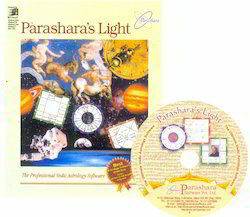 1 astrology software Parashara's Light ( The Ultimate Vedic Astrology Software). Parashara's Light is the leader in Vedic Astrology Software for the Professional Astrologer and beginner. It features a wealth of calculations, charts, tables, and interpretive reports, all so easily accessible with its highly intuitive graphical user interface. Numerous Options, User Defined Yogas etc. Natal Astrology – Rashi, Sun, Moon, Divisional Charts, Planetary Details, Basic Calculations, Bhava Sripati, Karakamsha Charts, Ghatika Lagna, Hora Lagna. Navamsha Ages Chart etc. Varshaphala – Progression Charts based on True and Mean Solar Return, Muntha, Varshesha, Tajika Yoga, Tripataki Chakra, Saham, Mudda dasha, Patyayini dasha etc. Jyotish Sagar is the leading supplier of astrology software of India. We provide India's No. 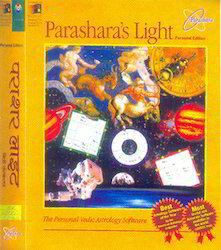 1 astrology software Parashara's Light ( The Ultimate Vedic Astrology Software). This Astrology Software is very popular worldwide. Parashara's Light is the leader in Vedic Astrology Software for the Professional Astrologer and beginner. It features a wealth of calculations, charts, tables, and interpretive reports, all so easily accessible with its highly intuitive graphical user interface. Different Ayanansha including Lahari, KP and Sayana. Available in English and Hindi Languages.